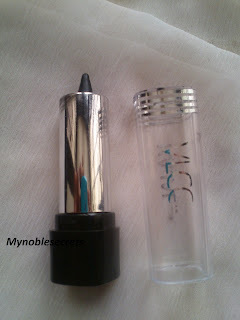 An Unique formulation that does not smudge, smear or fade after application. The goodness of natural oils and herbal extract nourish and relax the eyes. Tripala helps in maintaining good vision. Apply gentlyon the inside edge of the eyelids. Tripala, Liquorice extracts, camphor, Almond oil. This comes in a Black cover pack like Kajal colour. The Packing is transparent and glossy.I was so eager to see this kajal swatch on my Eyes. Whenever a Kajal is new It will be very nice to apply without spreading under the eyes. So, this kajal also same like me. When I have applied it didn't give that much Black colour like Lotus Kajal by one time apply. I have to apply 4 to 5 times to get a thick line of kajal on my eyes. The Company claims it does not smudge???? 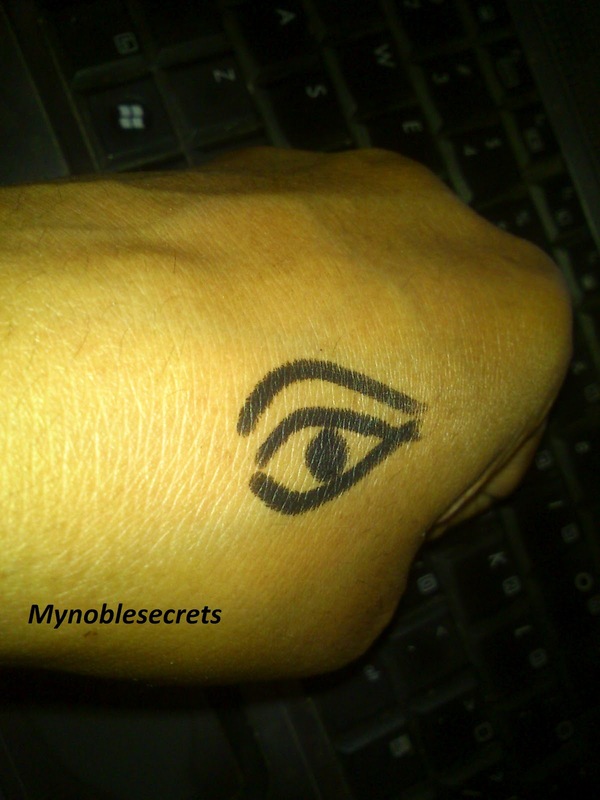 But, It is smudging 70% after sometime, also fades away quickly. May be my oily eyes are helpless to keep kajal for some time. Still am using it alternative days. It is not that much bad like Himalaya. When I apply Himalaya Kajal within few hours I will look like panda, Hehehehe. The swatch in my hand is so thick but it is not coming in the waterline of eyes :(... It is not worth for the price. 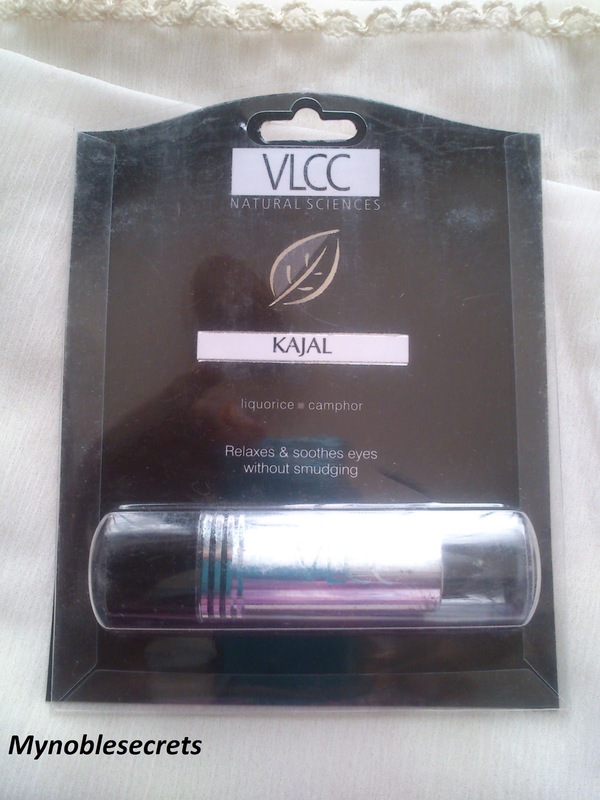 VLCC company should improve the quality of this Kajal. I am totally disappointed by this Kajal. This kajal is not suitable for oily lids. Made up of natural Ingredients. No irritation and safe use for eyes. It is costly compares with the quality. Smudges and fades away easily. Have to apply several time to get a good black line. Nice review Radha and which is your favourite kajal? Lotus kajal says its natural but it smells so artificial. All of the kajal makers in India are liars and god knows what crap they make their kajals out of!! Even iam disappointed with this one.. It fades away quickly.. It seems very pigmented but i have never used kajal except for few times as i have myophia and had to wear contacts!! See i told you. 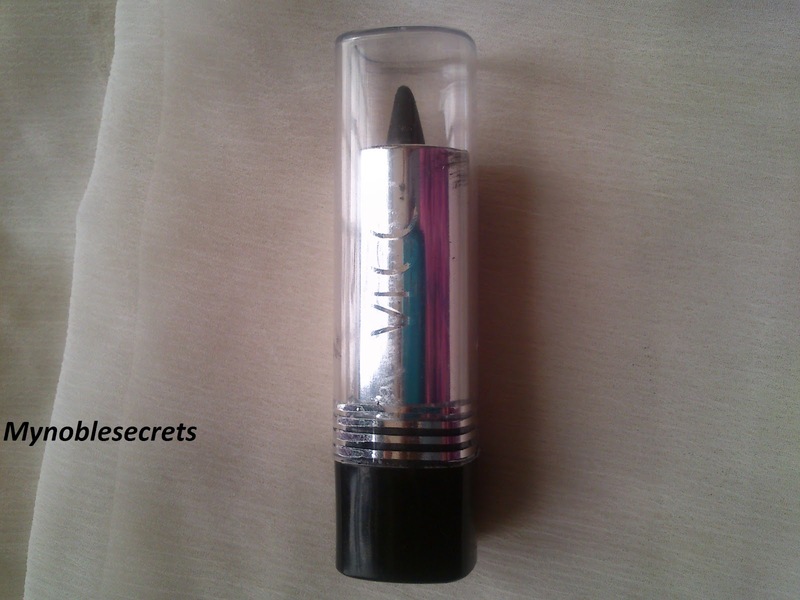 The best.kohl is lakme kohl ultimate. Not even MAC could beat it!